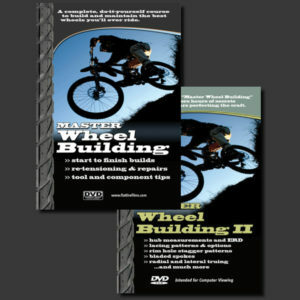 Purchase both Master Wheel Building I and II for only 49.95! 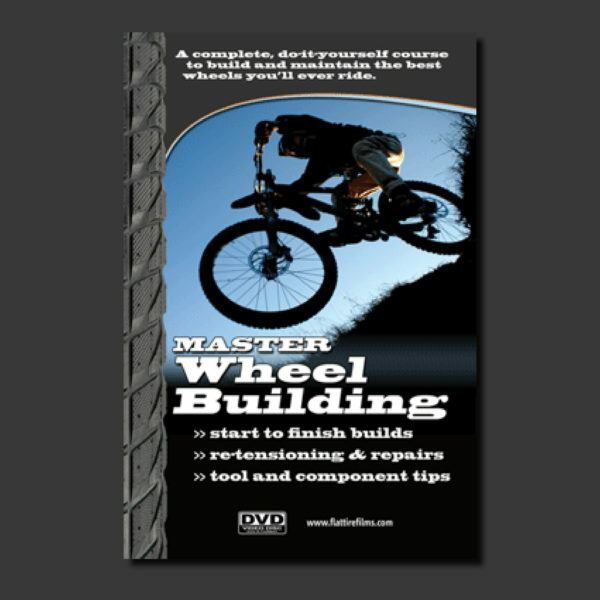 Complete guides to building the best wheels you’ll ever ride. 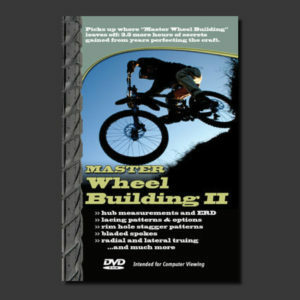 Master Wheel Building I includes nearly two hours of comprehensive, expert instruction, troubleshooting, and maintenance tips designed to give riders the know-how and confidence to build and repair the two most important components on their bicycle: the wheels. This do-it-yourself course will teach you how to build a bicycle wheel. Included are the following topics: marking the rim and hub so that a professional alignment of labels results; lacing up a 32-spoke wheel for a three-cross pattern; tensioning the wheel; measuring spoke tension with a tensiometer; dishing the wheel; elimination of spoke windup; basic structure and forces in wheels; presetting spoke bends; and, more! Thousands of copies of this video have been purchased around the world, and the levels of customer satisfaction have consistently been extremely high. I finished your latest Wheel Building I downloads. Great work! I like the downloads because I can access one segment at a time, easily pause it or reverse back a bit—all the while having a file opened to take notes while the video player is going. The digital quality is spot on. It was critical I reviewed these principles. I don’t build wheels enough to remember everything you taught me in the shop. Your students should not short-change the process by not buying the videos. If they come back a year later to build a wheel, they’ll be surprised at what they had forgotten to do.